ACCA is pleased to announce the publication of Eva Rothschild: Kosmos, to accompany the major solo exhibition of the London-based, Irish artist’s diverse yet distinct practice. 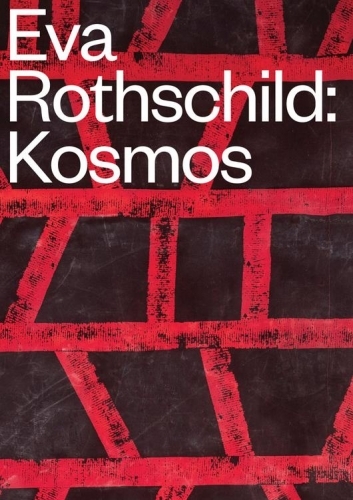 Curated by ACCA’s Artistic Director, Max Delany and Senior Curator, Annika Kristensen, Eva Rothschild: Kosmos is the most significant solo exhibition of Rothschild’s practice to date and a timely exhibition in advance of Rothschild’s representation of Ireland at the 2019 Venice Biennale. This ambitious and commanding exhibition brings together new sculptural commissions and recent work spanning the last decade that engage with the social and architectural potential of sculpture within ACCA’s galleries. 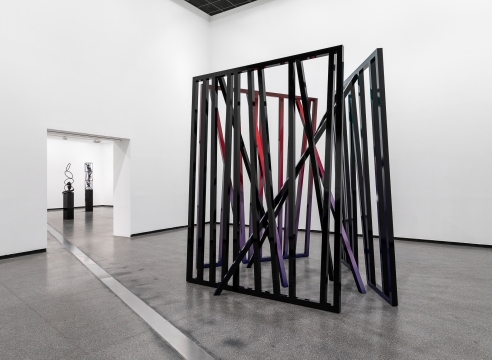 Eva Rothschild: Kosmos is presented in association with City Gallery Wellington, where the exhibition tour in 2019. The catalogue features a forward by ACCA Executive Director, Linda Mickelborough and City Gallery Wellington Director, Elizabeth Caldwell, a newly commissioned essay by author Declan Long, and Eva Rothschild in conversation with Max Delany. Alongside an extensive colour documentation of Rothschild’s work at ACCA, the catalogue also documents Jo Lloyd’s CUTOUT 2018, a performance for ten dancers in the gallery, with costumes designed by Eva Rothschild, commissioned by ACCA in association with the 2018 Melbourne International Arts Festival.